Rex and the Bass: Press Release: Radial Engineering Has Been Sold! "Anaheim CA, NAMM, January 25 2018- Mike Belitz, President and CEO of Ultimate Support Systems, has acquired Radial Engineering Ltd. Established in 1991, Radial Engineering Ltd. was originally developed as a range of cable products by outgoing President and CEO, Peter Janis. 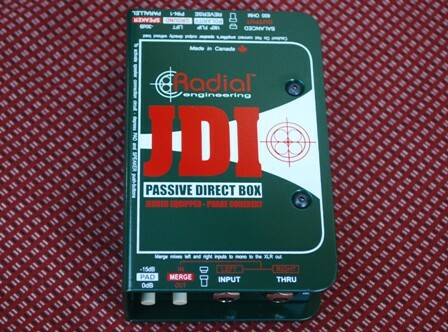 The release of their first direct box in 1996, the Radial JDI, was just the beginning in a long line of innovations that saw Radial become the leading name in premium direct boxes and audio solutions. In the intervening years, the Radial brand family and distribution network has grown to include a diverse catalog of brands, including: Primacoustic, Tonebone, Reamp, Hafler, Dynaco, Iso-Max and Jensen Transformers Inc. Ultimate Support and Radial Engineering Ltd. will enjoy shared strategic and logistical advantages under leadership of Mike Belitz; with the end result of wider availability to retailers, distributors, and end-users all over the world. "I have always been passionate about premium accessories in the music industry. Instruments come in and out of fashion, but musicians and audio professionals will always need well designed, high quality solutions. Ownership of Ultimate Support Systems and Radial Engineering Ltd. will offer incredible possibilities for the future." - Mike Belitz, President and CEO of Ultimate Support Systems and Radial Engineering Ltd."